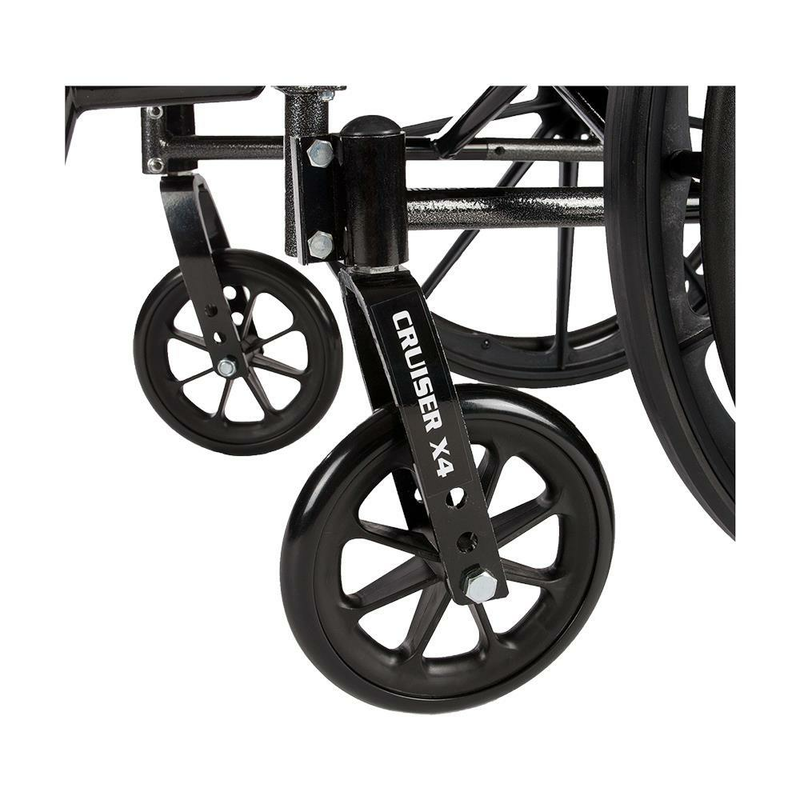 Cruiser X4-Lightweight Dual-Axle Wheelchair offers a simple to push and transport wheelchair that can convey the greatest weight heap of 34 lbs. 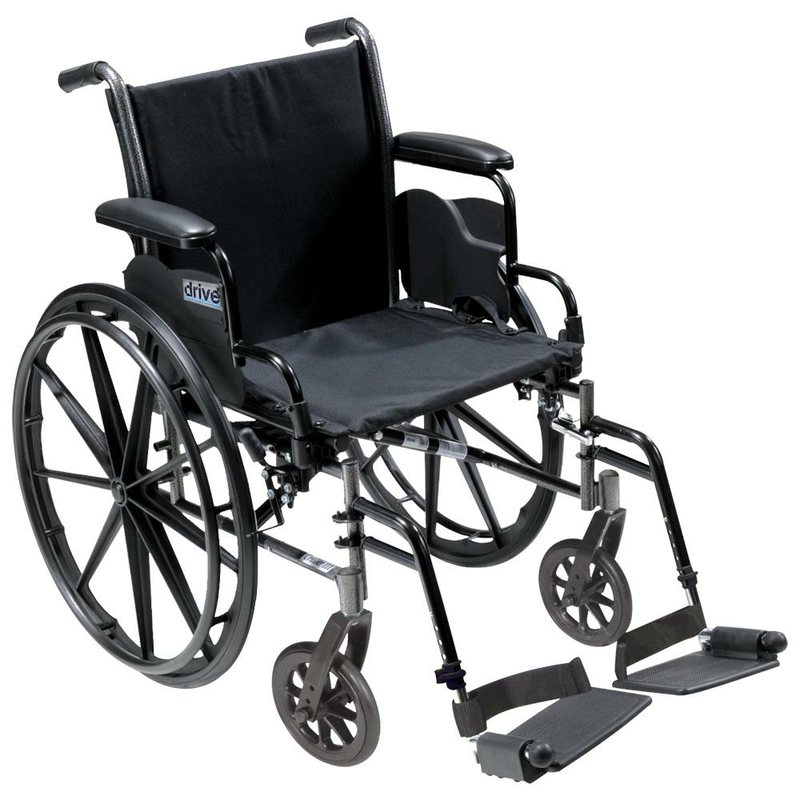 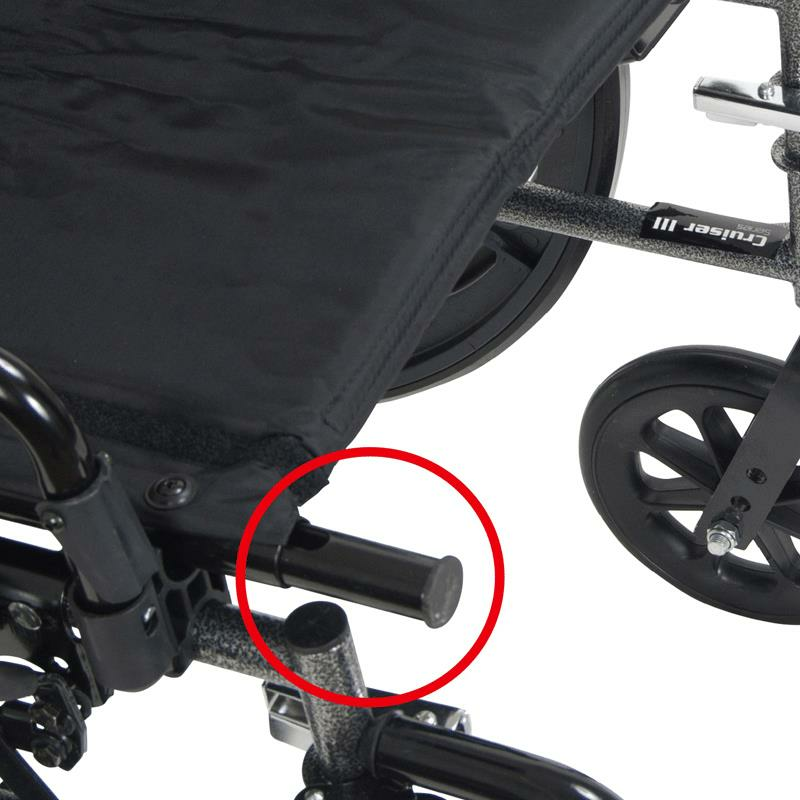 The user-friendly and comfortable Cruiser X4 highlights a padded height-adjusting arm(s), swing-away footrests, elevating leg rests and tool-free adjustable length riggings. 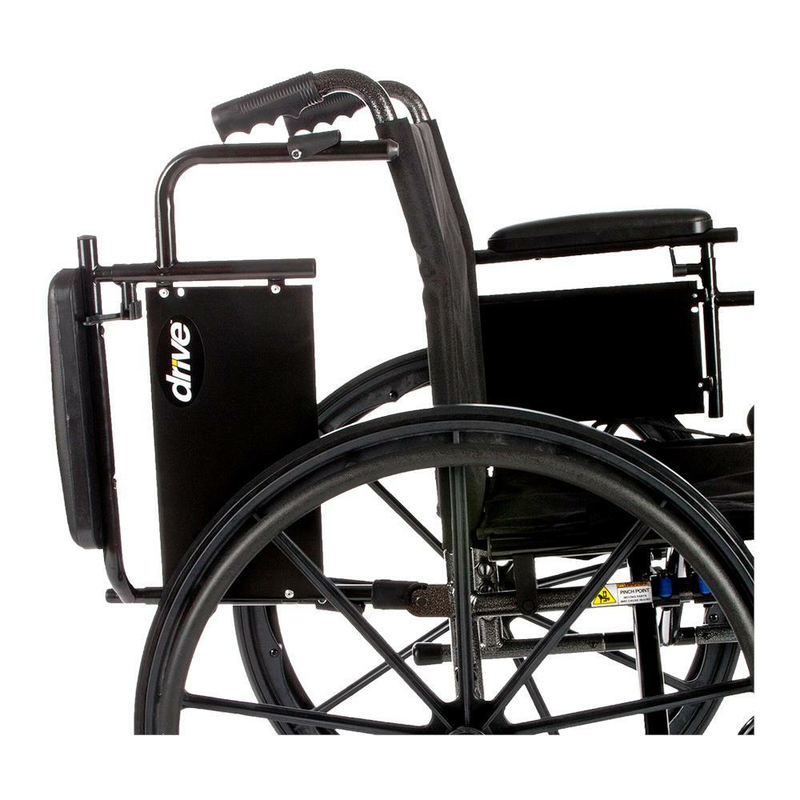 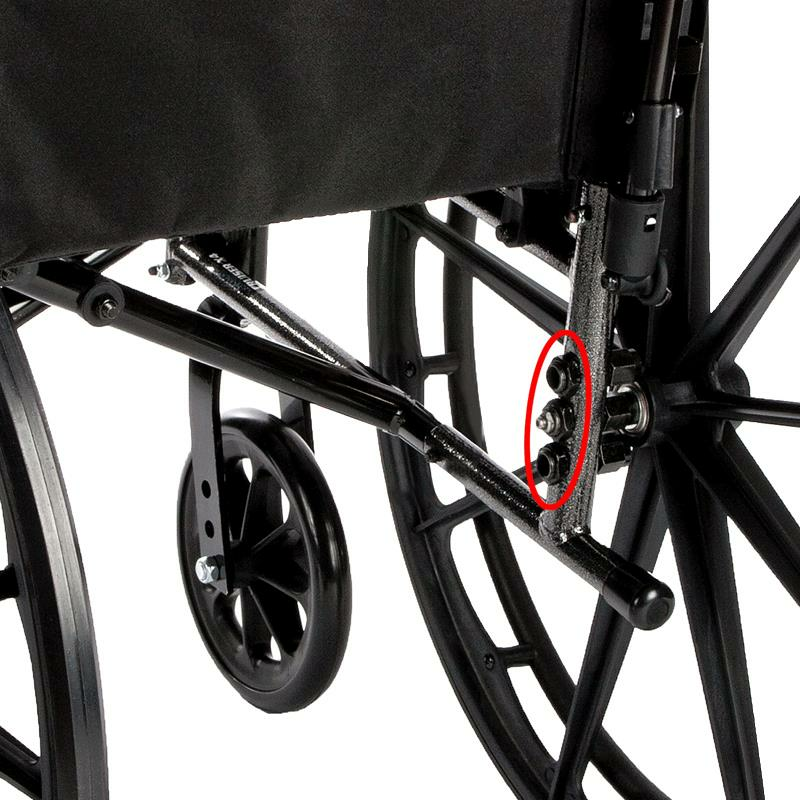 Accessible in 16", 18; and 20" seat width sizes, the lightweight dual-axle Cruiser X4 wheelchair is also secured with push-to-lock wheel lock. 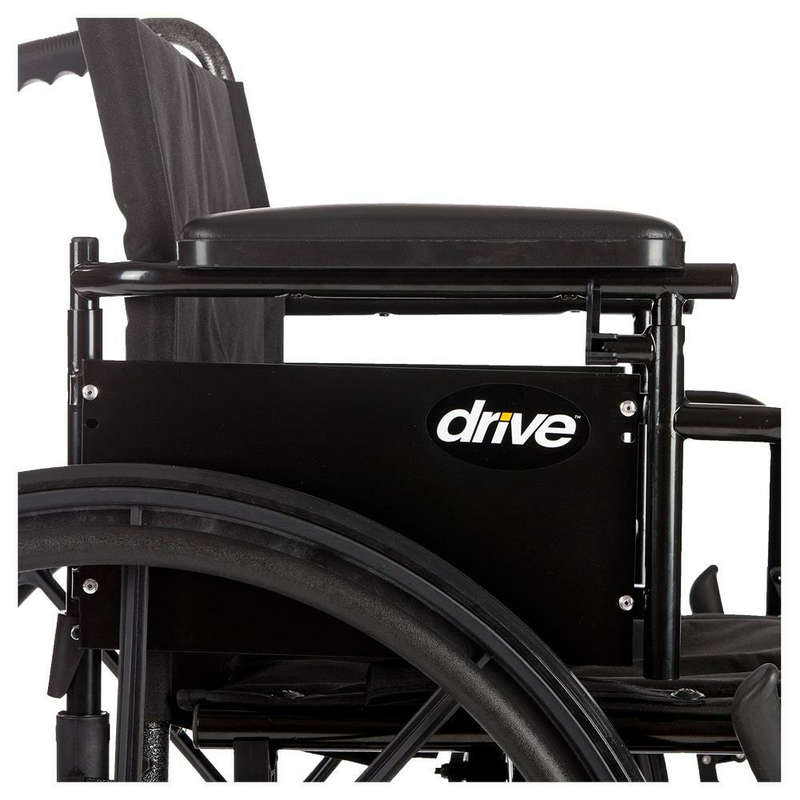 Buy this product and earn 9.65 Reward Dollars. 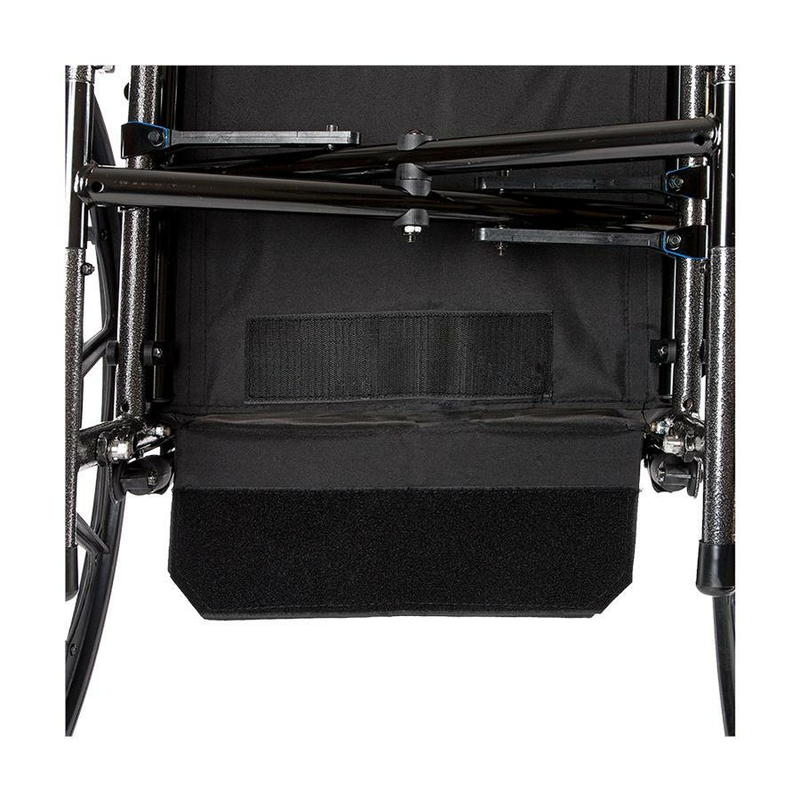 Flip-back, removable arm is height adjustable from top of seat rail 10" to 14"
Product Overall Width Open 23" 25" 27"
Width Closed 12" 12" 12"
Seat-to-Floor Height 17" 18" 19"
Back Height 16" - 17.5" 16" - 17.5" 16" - 17.5"
Length with Riggings 43" 43" 43"